Band-in-a-Box is so easy to use! 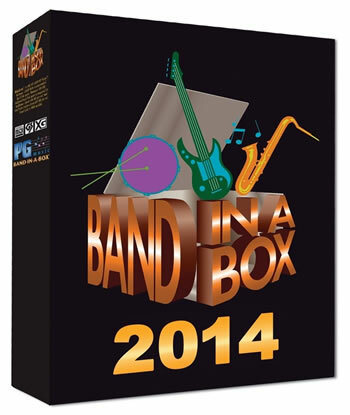 Just type in the chords for any song using standard chord symbols (like C, Fm7, or C13b9), choose the style you'd like, and Band-in-a-Box does the rest... Band-in-a-Box automatically generates a complete professional-quality arrangement of piano, bass, drums, guitar, and strings or horns. RealTracks add the human element of great session musicians to your songs and version 2014 offers some of the most exciting new RealTracks yet! Plus, version 2014 has a great new look with a redesigned GUI, 54 MIDI SuperTracks, 36 Artist Performances and much more!